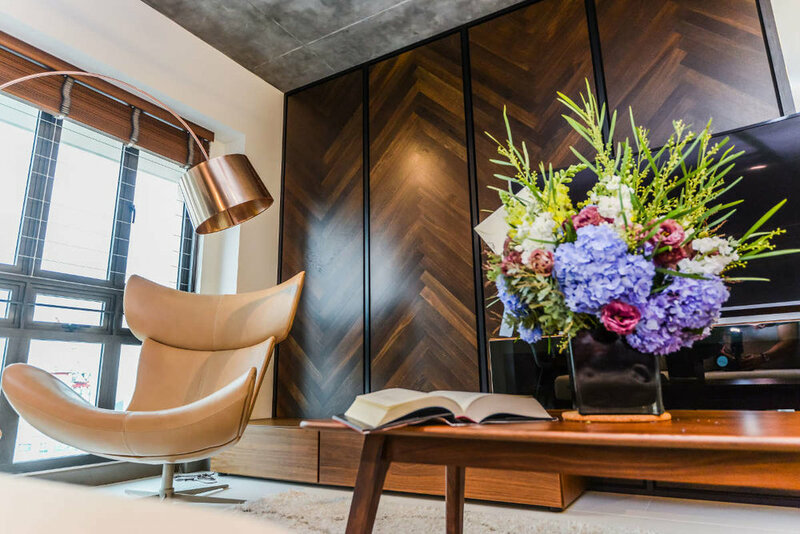 Our high-end yet buildable and pre-finished materials helps many developers create a quick to market product, and owners to realise their ideal home. Private Residence - Armourcoat wall & ceiling seamless finish. 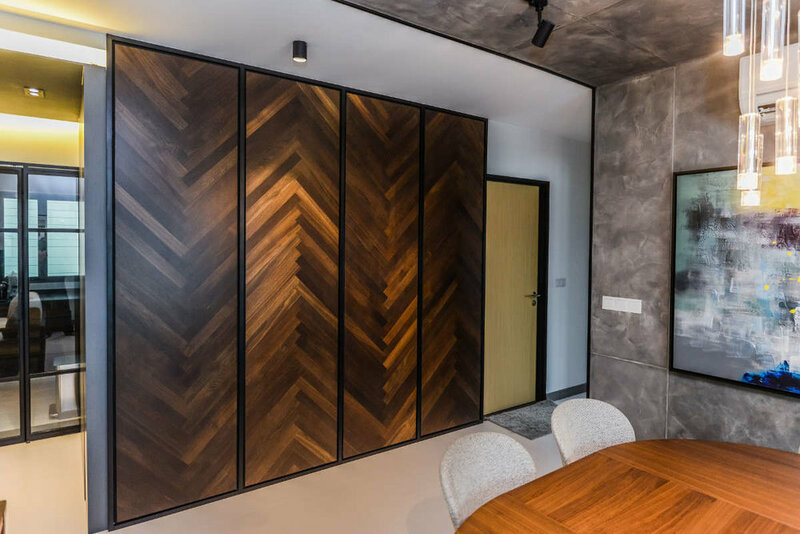 Private Residence - Armourcoat wall & ceiling seamless finish, with black oak herringbone wall panel. D'Leedon Condo - Glass facade cubicles, giving a modern look, hygienic and easy maintenance.